We Are Proud Of Our Instagram! 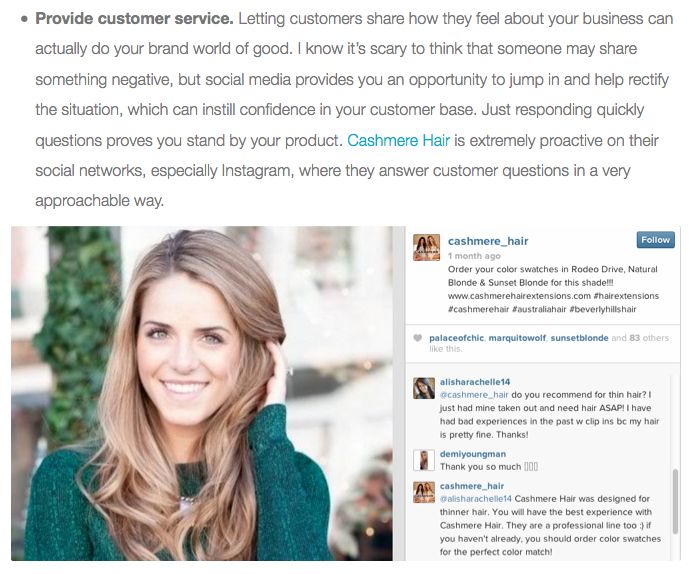 Big Commerce wrote an article on How to Create an Online Store, Part 4: Attract and keep the right buyers and featured CASHMERE HAIR’S Instagram in their section about how we provide customer service through our Instagram page by immediately answering customer questions and concerns! Here’s what they wrote: “Provide customer service.